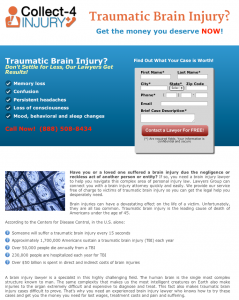 We have a large local and national network of desktop Internet landing pages to attract injury victims. 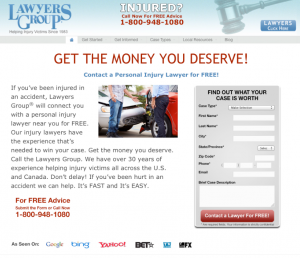 Our Pay-Per-Click Internet experts bid daily on Google, Bing and Yahoo search engines to bring injury victims to our landing pages. 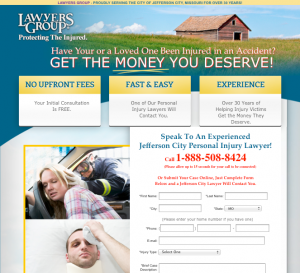 The leads generated through these landing pages are emailed or faxed directly to our attorney clients through our proprietary web application. See samples of our desktop landing pages below. 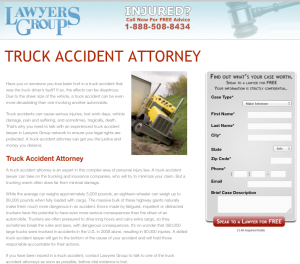 Our http://www.lawyersgroup.com domain name has been around for decades. 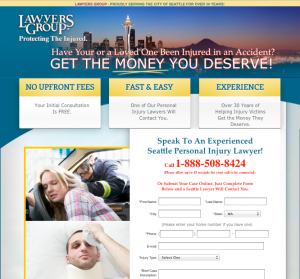 We have many personal injury landing pages targeted for each specific injury. See samples of our website and landing pages below. Click on the image to go to the actual landing page. 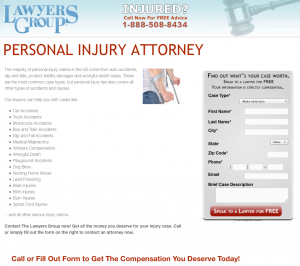 We use custom Collect4injury branding to target injury victims. 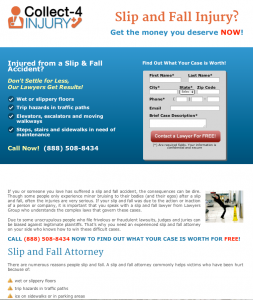 See samples below from our various Collect4injury landing pages. Click on the image to go to the actual landing page. 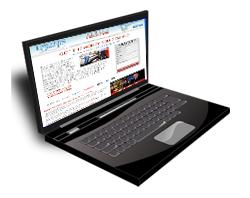 We have geo-targeted desktop campaigns in various geographic cities. We target large cities as well as small local markets. 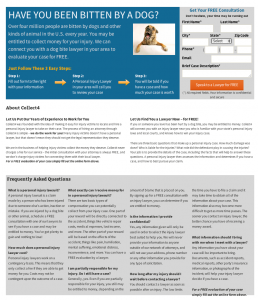 Please see samples of those landing pages below. Click on the image to go to the actual landing page.